What’s the most you would pay for a bottle of water? $3? $10? How about US$60,000? Here’s our list of the most expensive and indulgent food and drink items on the planet. In 2015, VeryFirstTo came out with the world's most extravagant Easter bunny. 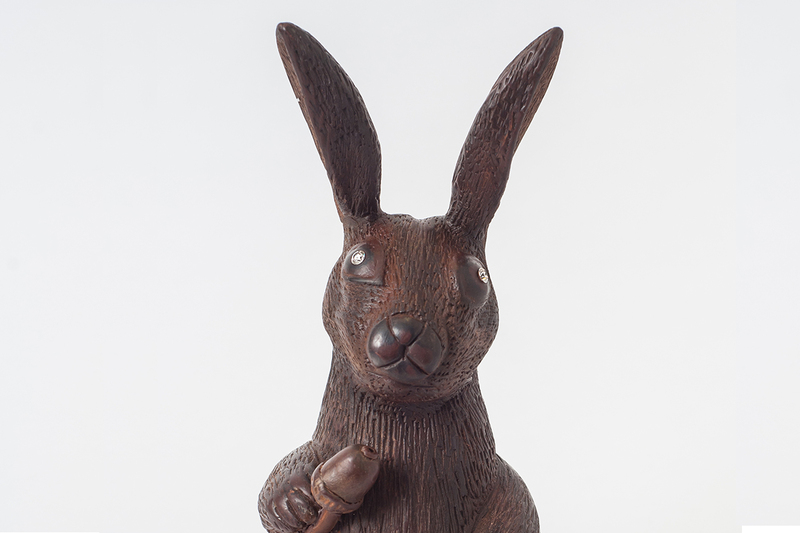 Hand-carved by award-winning Chocolatier and International Pastry Consultant Martin Chiffers, the life-sized bunny was made from 75% Tanzania origin chocolate, weighed five kilograms, packed a whopping 548,000 calories, and had two solitaire diamonds as its eyes. Available exclusively at Frida’s restaurant in the five-star Grand Velas Los Cabos Resort in Mexico, this taco is a long way from anything you’d ever find at Taco Bell. 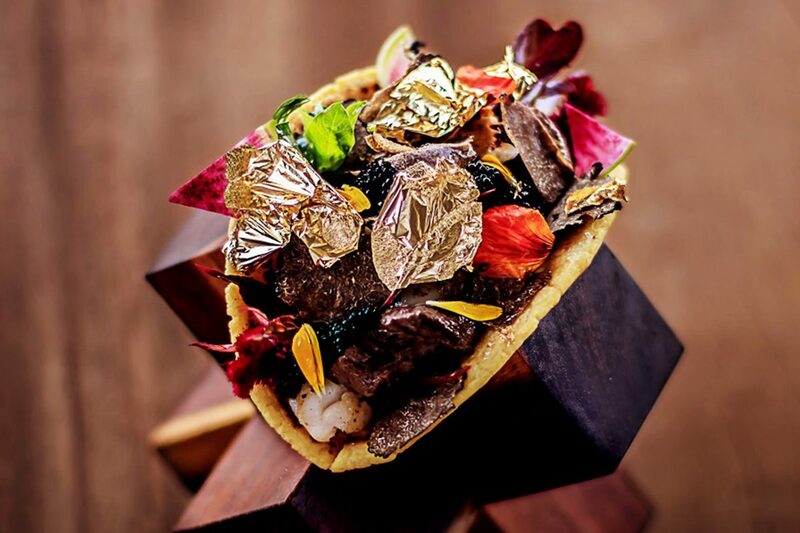 Nestled in the gold flake-infused corn tortilla is Kobe beef, lobster, Almas beluga caviar (the most expensive caviar in the world) and black truffle brie cheese – and it’s all topped with more gold flakes, of course. 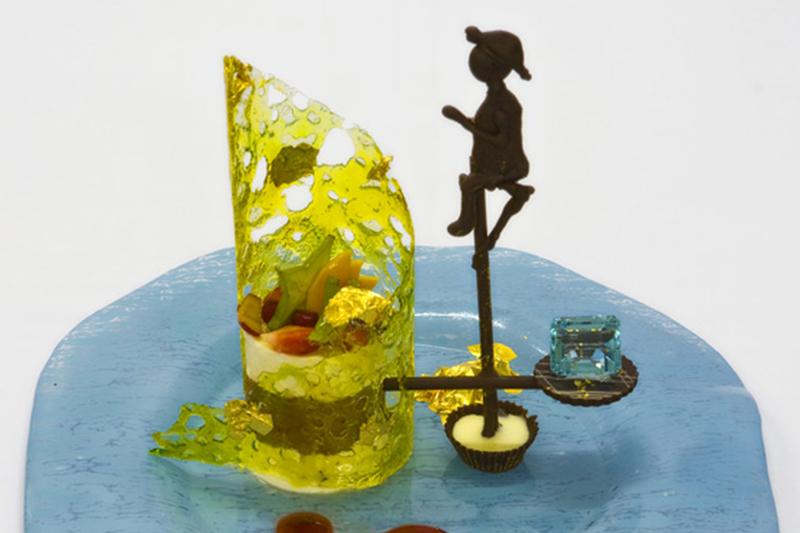 Drawing inspiration from a centuries-old fishing practice seen along the coastlines of Sri Lanka, this delectable gold-leaf dessert from Fortress Resort and Spa, Sri Lanka is made from fruit-infused Irish cream, Dom Pérignon and chocolate carved into the shape of a local stilt fisherman. It’s then embellished with an 80-carat aquamarine gemstone. The kitchen of Fleur – the restaurant of Chef Hubert Keller in Mandalay Bay, Las Vegas – serves the most expensive burger on Earth. It comes on a brioche truffle bun and is filled with premium Wagyu beef, foie gras, truffle sauce and sliced black truffles (which cost US$1,500 per pound). 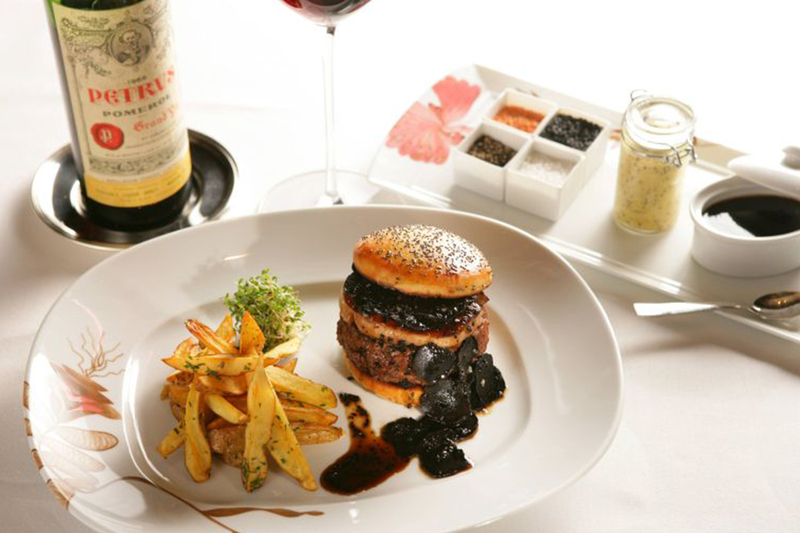 To wash it down, the burger comes with a bottle of vintage 1995 Chateau Petrus worth US$2,500, and a side of fries. Cooked to golden perfection (literally) in the wood-fired ovens of New York’s Industry Kitchen, this extravagant pizza will set you back US$250 per slice (about US$50 per bite). 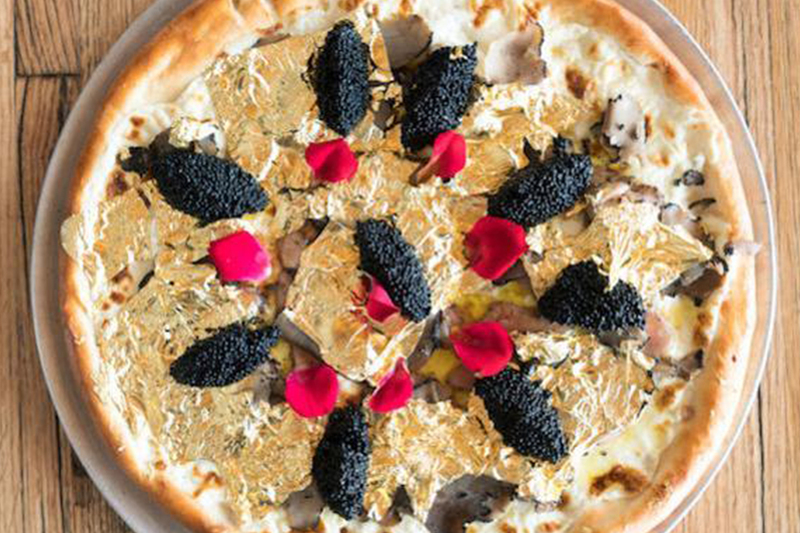 A thin crust made from black squid ink dough is topped with white Stilton, foie gras, French truffles and Osetra caviar from the Caspian Sea. To finish it off, it’s sprinkled with 24-karat gold flakes and edible flower petals. Just remember to give 48 hours’ notice before ordering. 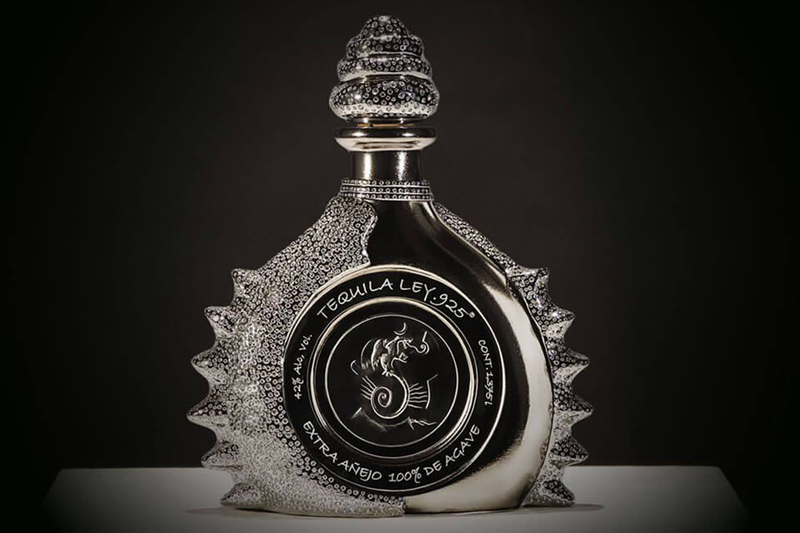 It’s only fitting that the world’s most expensive tequila comes in a bottle made from two kilograms of the world’s most expensive metal. This US$3.5 million platinum bottle of Hacienda la Capilla tequila is a masterpiece inside and out. Lavishly named La Ley del Diamante (translation: the Law of the Diamond), it contains 4,100 35-carat white diamonds – so be careful when you swallow. Seventeen craftsman spent more than 50 hours creating this six-litre Lalique crystal decanter, which is filled with top-notch whisky. 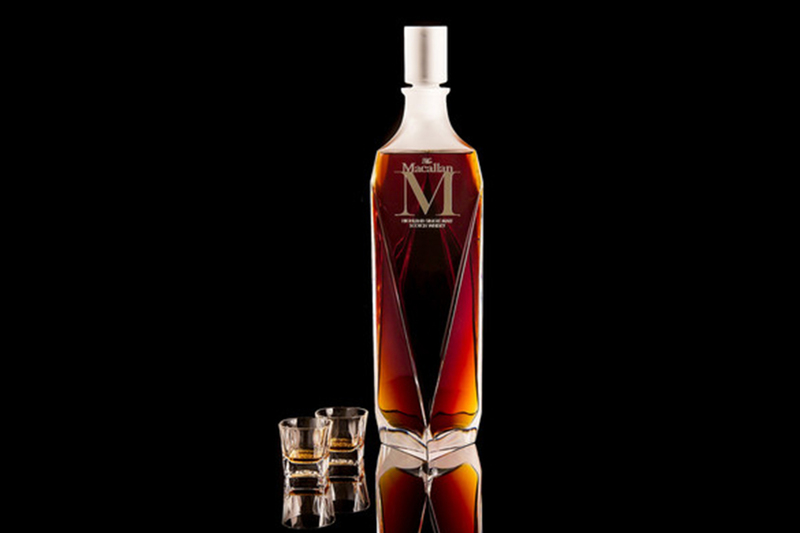 Of the four bottles created, only two were made available to the public. One of them was sold to an anonymous bidder at a 2014 Sotheby’s auction in Hong Kong for the whopping price of US$628,000, smashing a Guinness World Record for being the most expensive whisky sold at auction. Weighing in 100 pounds and sitting at four feet tall, the world’s largest luxury bottle of Champagne is equivalent in size to 40 regular-sized bottles. And – as its name suggests – it’s covered in gold. It was handcrafted by eight expert artisans and, in 2011, ‘King of Champagne’ Don Johnson parted with US$165,000 for a bottle of it in a London nightclub, breaking the world record for the most expensive bottle of Champagne ever sold. 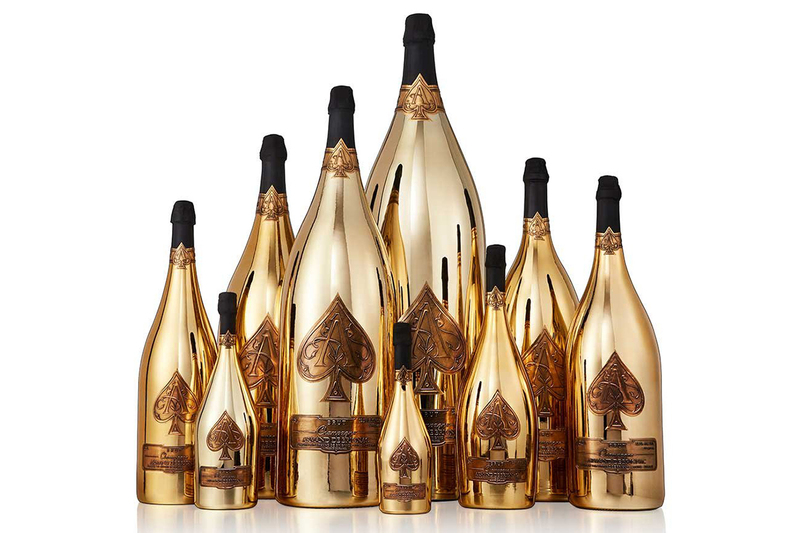 If a sweeter bubbly is more to your taste though, the Armand De Brignac Rosé Midas – the largest bottle of Rosé ever produced – is even more expensive, retailing for US$275,000 at Hakkasan Restaurant in Las Vegas. 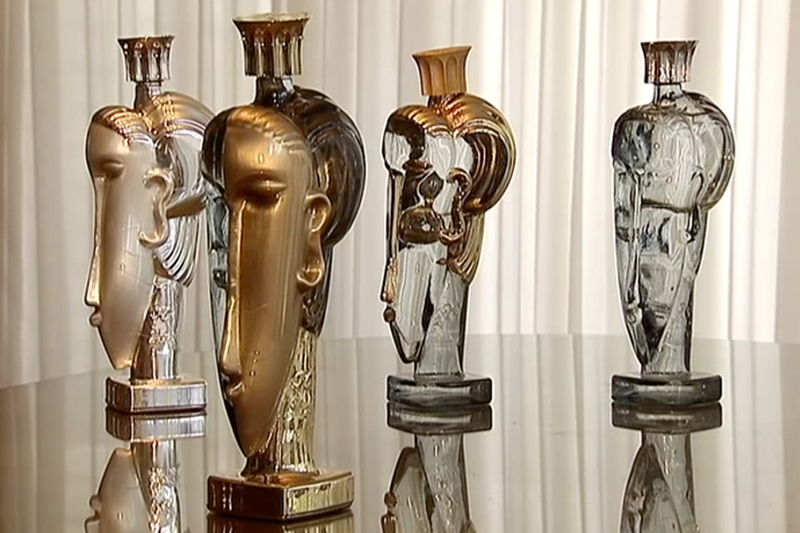 The world's most expensive bottle of water is handmade from 24-karat gold and was released as a tribute to Italian artist Amedeo Clemente Modigliani. It’s a mix of natural spring water from Fiji and France and glacier water from Iceland, and each bottle is sprinkled with 5mg of 23-karat gold dust. 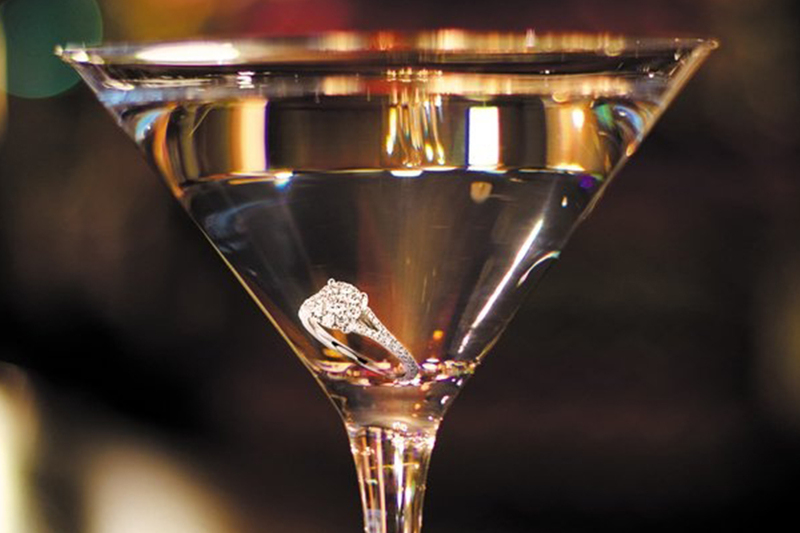 A mix of chilled Grey Goose vodka with a twist of lime, the Diamonds Are Forever Martini might at first seem like any other – except that it’s garnished with a 1-carat diamond. It’s available at The Lobby Lounge and Bar on the 45th floor of The Ritz-Carlton Tokyo, and is delivered to your table while a rendition of Shirley Bassey’s Diamonds are Forever is played by a live band.